Applicants wishing to apply for ACM40418 Certificate IV in Veterinary Nursing (previously ACM40412) must meet prerequisite requirements. In addition to meeting these requirements all students are subject to the AVT selection process as outlined in the Entry page. To meet the mandatory prerequisite applicants must hold a Certificate II in Animal Studies OR a relevant Certificate III or higher level qualification in an animal science discipline OR can demonstrate equivalent skills or knowledge gained via workplace experience. For a limited amount of time, Western Australian residents may be able to apply for the previous qualification ACM40412 Certificate IV in Vet Nursing. We encourage all WA residents to watch our 'Understanding your options' video on the course entry page. Online eLearning course offering a more flexible approach to learning. Whether you choose to study online or on-campus all students are required to complete a minimum of 500 hours of workplace practical training. If you are based in Perth, Western Australia we will organise a placement for you at no extra cost. If you are not based in Perth, you will be required to secure a work placement location for your practical training. For more information view the workplace practical training information in our study modes page. Certificate IV in Veterinary nursing is a pathway from either ACM20117 Certificate II in Animal Studies (previously ACM20110) or ACM30117 Certificate III in Animal Studies (previously ACM30110) and ACM40317 Certificate IV in Companion Animal Studies providing you with the vital skills to undertake and assist in clinical duties such as pathology, radiology and procedures relating to managing medical cases. Do you meet the pre-requisites? You will need a Certificate II in Animal Studies or higher or equivalent experience to commence this course. ACM40418 Certificate IV in Veterinary Nursing is currently being offered via two study modes including Online eLearning and On-Campus Full-time. You will be required to study several units at a time, working through the learning material, supplemented with the required textbook and recommended references. Assessments and assignments are all submitted via our online learning system. Support is available to you via phone, email or Skype. Our training centre is open during both the school terms and most school holidays. Online access to learning centre with full support of our educators via phone, email or Skype. On-campus attendance is not required. Non-compulsory, practical workshops and assessment sessions are offered throughout the year at our Bentley campus. In addition to completing the course online theory, you are required to participate in a minimum of 500 hours of practical training in a veterinary practice. This may be longer than 500 hours and depends on how quickly you can complete your workplace assessments and competencies. Who organises the work placement? Perth based? - If you are a Perth based student, AVT will pre-organise your work placement in consultation with you. We endeavour to cater for specific requests where possible such as your availability on given days of the week. Not Perth based? - If you are not Perth based, you will need to organise your own work placement to suit your location and commitments. We will provide you with a comprehensive resource to assist you in securing a work placement in your local area. Already employed? - If you are already employed in a veterinary practice, it is possible your employed hours may contribute towards your practical training hours. How often should you attend a work placement? Your course fee includes insurance cover for the mandatory work placement you take during your course regardless of the course delivery method you choose (applies to Australian based residents only). Range from online assignments and tests, oral testing via telephone or Skype, case studies, and video submissions of practical tasks and on-site face-to-face assessments (if location permits). At any time of year to suit student and subject to support from a Veterinary Practice. Please see the 'Course Entry' tab for more detailed information about registration, application and start dates. As a full-time student you will attend our campus in Bentley, Western Australia to participate in face-to-face lectures, group activities, tutorials and practical lessons. You will also be invited to off-site excursions and field trips to various animal related establishments. We run two separate classes to ensure you receive a personable learning experience. Every student has the opportunity to contribute and participate actively in classroom and practical sessions. In addition to classes we also ensure students have access to ongoing tutoring, support and instruction. One year full time campus-based course. Face to face group lectures, activities, tutorials and practicals at our Bentley, WA training centre with additional off-site excursions. 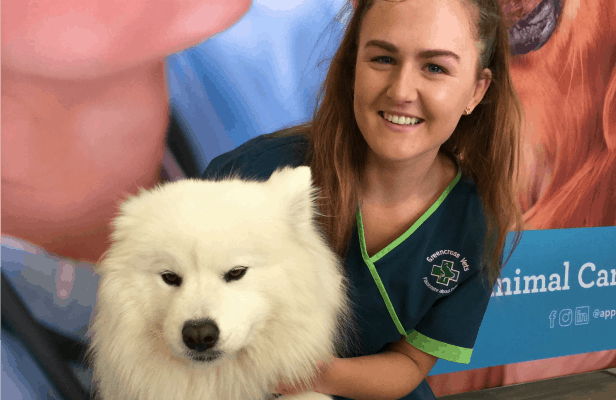 The full-time veterinary nursing course lasts for 1 year, starting in February and graduating mid-December, when you will be qualified and ready for employment. The full-time classes run for 4 terms, similar to school terms. You must attend our training centre for 2 days a week (9.00am–4.00pm), followed by 2 days a week in one of our supporting veterinary practices. This cycle repeats throughout the four school terms. During term breaks (school holiday times) you are not required to attend class or your work placement (ie veterinary practice) if all course requirements have been met during school term. Non-compulsory, practical workshops are also offered throughout the year at our Bentley campus. You are required to complete a minimum of 500 hours of workplace practical training. This may be longer than 500 hours and depends on how quickly you can complete your workplace assessments and competencies. Your workplace practical training will be organised for you in a high quality Perth, WA based veterinary hospital. 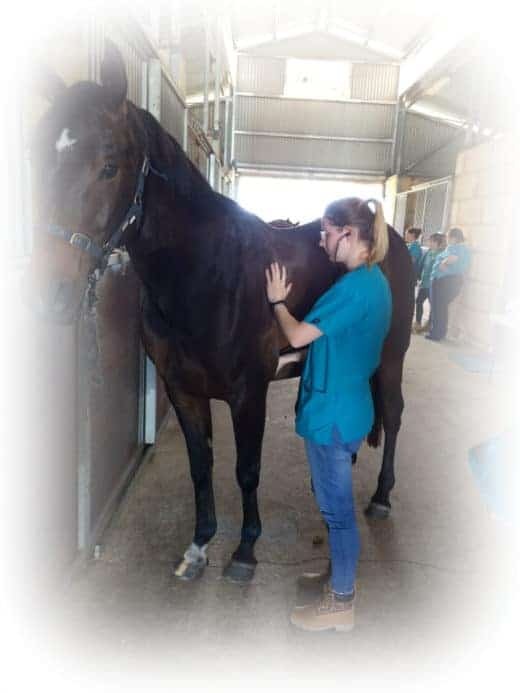 AVT has been organising work placements in Western Australian veterinary hospitals since 1999 and has formed over 100 long term relationships with high quality veterinary hospitals. So when it comes to the essential on-the-job veterinary nursing practical training you will be placed in a supportive veterinary hospital in which you will receive hands-on training, mentoring, supervision and valuable experience in all aspects of veterinary nursing over the duration of your course. Range from assignments and tests, case studies, practical tasks and on-site face-to-face assessments. Next course commences February 2020. Visit the 'How to Apply' page to register your interest for the 2020 intake. Enrolments for our next on-campus course will be for the Full-time February 2020 intake. If you would like a more flexible study option, we encourage you to apply for our online course. For Perth metropolitan based students, we will organise your work placement and for students located throughout Western Australia, you may also be eligible for the Jobs & Skills WA (formerly FutureSkillsWA) subsidy which dramatically reduces the cost of the course. Subsidised places are offered upon successful completion of the application and interview process and are subject to availability. 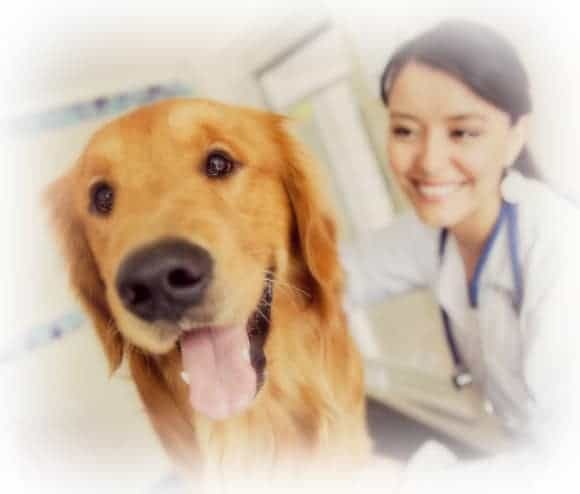 This unit of competency describes the skills and knowledge required to assist in providing treatments for patients (animals) on a daily basis, to maintain practice hygiene and assist with inventory and practice security. This unit of competency describes the skills and knowledge required to coordinate and undertake patient admission and discharge. It also includes providing initial veterinary nursing care to patients (animals) and grief support to clients (animal owners). This unit of competency describes the skills and knowledge required to implement and complete imaging routines, including x-rays, ultrasound and endoscopes, according to established industry sequences and practice policies and procedures. This unit of competency describes the skills and knowledge required to collect biological samples and perform pathology procedures, including maintaining the integrity of samples and preparing consignments for diagnostic laboratories. This unit of competency describes the skills and knowledge required to perform office procedures in a veterinary practice, including maintaining veterinary supplies, controlling stock, maintaining practice accounts, generating and responding to practice correspondence. This unit of competency describes the skills and knowledge required to coordinate surgery schedules, prepare the surgical environment and provide support for the veterinary surgeon, including before, during and after routine and non-routine surgical procedures and monitoring patients (animals) while they are under anaesthesia. 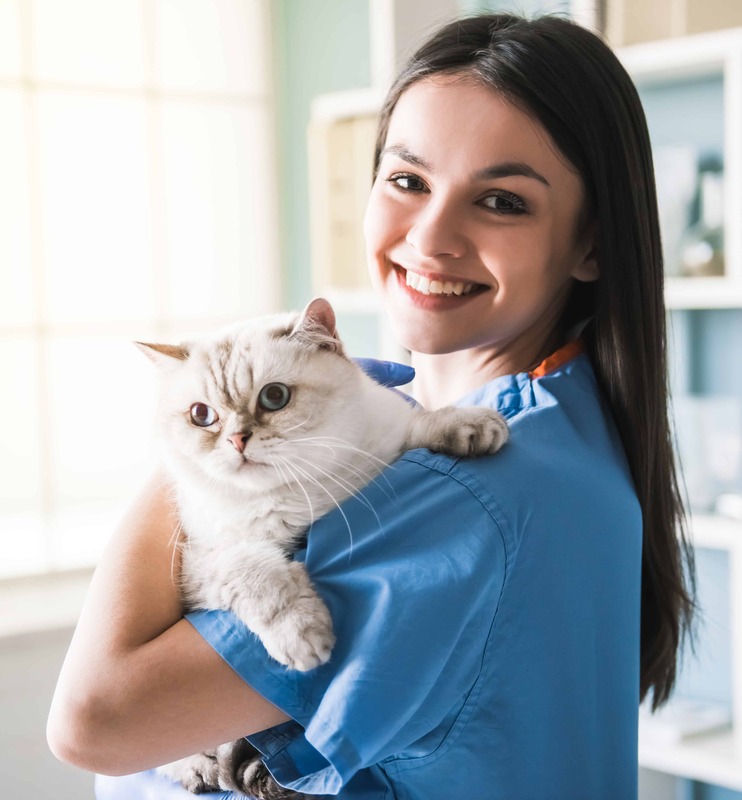 This unit of competency describes the skills and knowledge required to provide high quality nursing care for patients (animals) treated or housed in a veterinary practice. It includes providing advice to clients (animal owners), monitoring animals and providing animal first aid as required. This unit of competency describes the skills and knowledge required to implement medical nursing routines, including the preparation and handling of patients (animals) and equipment for specific routines. This unit of competency describes the skills and knowledge to provide advice to animal owners about the nutritional requirements of specific animals, and support nutritional needs of hospitalised patients across a range of medical and surgical conditions. This unit of competency describes the skills and knowledge required to provide advice to clients (animal owners) about animal health, behaviour, disease and reproduction. This unit describes the skills and knowledge required to perform dental prophylaxis and assist with simple extractions. Dental prophylaxis involves oral examinations of the conscious and anaesthetised patient, sub- and supra-gingival tooth scaling and polishing, and the subsequent development of a homecare plan, as well as assisting in the performance of simple dental extractions. Veterinary dental nursing procedures are most often carried out on dogs and cats. This unit of competency describes the skills and knowledge required to prepare for and monitor anaesthesia and analgesics in animals for surgical and medical procedures. This unit of competency describes the skills and knowledge required to prepare and assist with the preparation of veterinary drugs and poisons in a veterinary practice. This unit of competency describes the skills and knowledge required to comply with biosecurity and infection control policies and procedures in animal care workplaces and relevant field locations. Workplaces may include veterinary practices, catteries/kennels/shelters, pet grooming and equine services. This unit of competency describes the skills and knowledge required to identify animal anatomy and physiological functions of animals. It incorporates knowledge of animal classification, animal body systems, physiological functions and external anatomical features of animals to recognise normal health. This unit of competency describes the skills and knowledge required to communicate effectively with clients, a supervisor, team members and industry representatives. This unit of competency describes the skills and knowledge required to plan, support and contribute to work health and safety processes in an animal care environment. This unit describes the skills and knowledge required to identify and interpret animal body language and behaviour in an animal control and regulation environment. This unit of competency describes the skills and knowledge required to measure current resource use effectively, and to carry out improvements, including those that will reduce the negative impacts of work practices on the environment. This unit of competency describes the skills and knowledge required to aseptically perform microchip implantation procedures on cats and dogs, with minimum discomfort to the animal, for identification and traceability purposes. can demonstrate equivalent skills and knowledge in a relevant animal science discipline gained via workplace experience. We encourage all Western Australian applicants to watch our "Understanding your options" video below. For a limited amount of time, WA applicants may be eligible to apply for ACM40412, the previous but still current, Vet Nursing qualification. This is likely to appeal to applicants who do not meet the pre-requisite requirement for ACM40418 Certificate IV in Vet Nursing. After watching the video, follow our online application wizard to confirm your options and commence your application. Does meeting the prerequisite guarantee entry? When do you provide proof of relevant knowledge and skills or a previous qualification? When you click on the 'Apply Now' button our application wizard will guide you through the application process. This includes requesting detailed information about your previous knowledge and skills as well as other qualifications you have completed. What information will you need to start the application process? Our application form wizard will guide you through the information required to your application. If you believe you have relevant knowledge and skills as a result of workplace experience - you will be required to submit a knowledge and skills assessment as part of our application process. A fee of $185 applies and is payable on application by credit/debit card. See our separate FAQ on 'What evidence do you need of my workplace related skills and knowledge?'. Unique Student Identifier - If you don’t already have a USI number, you will need to apply for one. This is easy to do, just go to our USI page to find out more. Your why! - We are going to ask you why you want to study and work as a veterinary nurse. You will need to write at least 500 words telling us why you are applying and include any information about your past experience with animals. This is one of the most important parts of your application, so think carefully before submitting your statement. What happens if your application to meet the prerequisite is unsuccessful? If you cannot provide sufficient evidence to prove you meet the prerequisites, then to be able to apply for Certificate IV in Veterinary Nursing, you must complete either, Certificate II in Animal Studies or Certificate III in Animal Studies. If you submitted an application for the knowledge and skills assessment (gained in the workplace) and your application is not deemed equivalent, your equivalency review application fee is non-refundable. What other animal science related qualifications are relevant and are deemed equivalent to the Certificate II in Animal Studies? Animal husbandry and health routines. What evidence do you need of my workplace related skills and knowledge? We may or may not also need to carry out verbal or written testing of certain subjects/units to help us with the assessment of your application for exemption from completing ACM20117 Certificate II in Animal Studies. Fees apply. What are examples of skills you need to demonstrate equivalency? Equivalency of the prerequisite qualification, Certificate II in Animal Studies may include relevant employed or voluntary (work experience) positions in a range of animal care facilities. What types of animal related workplaces are relevant? Other areas of animal care work where the student is completing tasks under supervision. Does meeting the knowledge and skills equivalency requirement mean you will/can be awarded the Certificate II in Animal Studies? If your skills and knowledge are deemed equivalent, this does not mean you will be awarded a Certificate II in Animal Studies. Nor does it guarantee you entry into this course. Our normal selection criteria applies for all courses. If you think you meet the initial entry requirements for ACM40418 Cert IV in Vet Nursing or you wish to apply for ACM40412 (WA applicants only), please complete our online application wizard below. Applications for our online eLearning intake will be open during March 2019. Our next On-campus intake will be in February 2020 with applications open in August 2019. Our graduates are sought after by Veterinary Practices throughout Australia. One of the reasons for this is our selection process. For this reason, places in the AVT Veterinary Nursing course are highly competitive and limited. Unfortunately, this means meeting the prerequisite does not guarantee you will be accepted into the course. Once you have met the prerequisite for Certificate IV in Veterinary Nursing, your application will then go through our normal selection process. Our normal selection process involves considering your aptitude for working in this particular field. If you are currently employed in a veterinary practice and have the support of your employer to study this qualification, this will be considered favourably. Although experience and knowledge in an animal-related industry is a prerequisite, when selecting students, we also consider two other important criteria as outlined below. We look for evidence of your ability to study at the Certificate IV level. This may be based on your completion of school or other studies. We do not apply strict rules on what schooling you need to have completed and all students can present evidence of their ability to show equivalency to this level. It is recommended that you have completed or have equivalent language, literacy and numeracy at a year 12 high school level. Throughout this course, you will be required to read and interpret workplace policy and procedures, technical and medical terminology, perform moderate level calculations and exercise various forms of workplace communications. For students that do not have evidence of previous studies we may ask you to complete one of our own aptitude assessments that may allow you to demonstrate your ability. These assessments are designed to assess your language, literacy and numeracy skills. We may ask you to take some further background studies if we feel you need extra study experience. Veterinary nursing can be both a physically and emotionally challenging job at times and requires you to have a certain amount of resilience and maturity due to the nature of the veterinary industry and the type of situations that you will face. A veterinary nurse’s role involves as much interaction with people as it does with animals. This means excellent communication and customer service abilities are essential. Good interpersonal skills are required to be able to interact with and convey information to clients and other members of the hospital team. Our selection process will take into consideration the quality of your application as well as how you perform during a formal interview, either face to face, Skype or via telephone (if your application reaches this stage). Behavioural, cognitive and interpersonal assessments are used to help us with our selection. As mentioned above, places are highly competitive and limited. Don't meet the above prerequisites for the future ACM40418 course? Our fees include all study materials and consumables. If you are Perth based, they also include a placement fee for AVT to organise your practical training. The Certificate IV in Veterinary Nursing is eligible for government subsidisation under the Jobs & Skills WA program for both our Full-time On-Campus and online study modes. The fee range shown above is indicative and includes subsidised and full fee paying costs. All fees shown are subject to change at any given time. Subsidised places are limited and are subject to availability. The Student tuition fees are indicative only and are subject to change given individual circumstances at enrolment. Additional fees may apply such as student service and resource fees. On successful completion you will be awarded the nationally recognised qualification, ACM40418 Certificate IV in Veterinary Nursing. You will receive a statement indicating completion of the individual units of study. You will also be invited to attend our graduation ceremony held in Perth in December every year where you will be formally presented with a certificate. At this ceremony, top achieving students are also recognised and receive both commendations and prizes.